Happy birthday to our idol Rihanna! 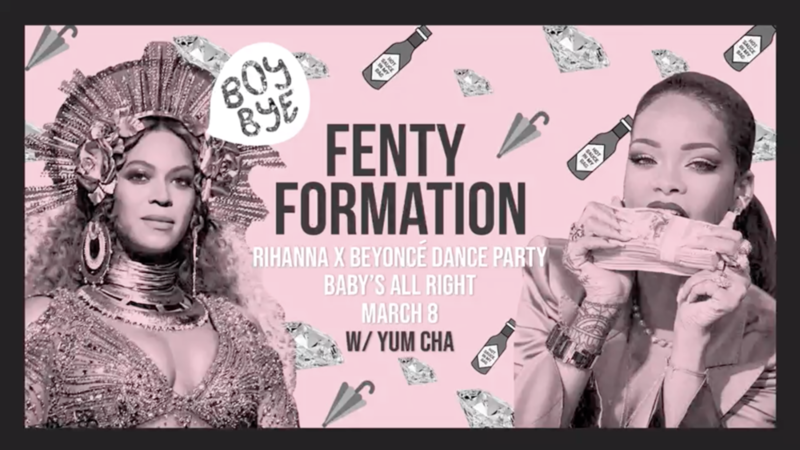 In honor of this blessed day we’re announcing another Rihanna-Beyonce party! Y’all sold it out and turned it out so hard last time we had to come back. Come through March 8 at Baby’s All Right - the party starts at midnight. 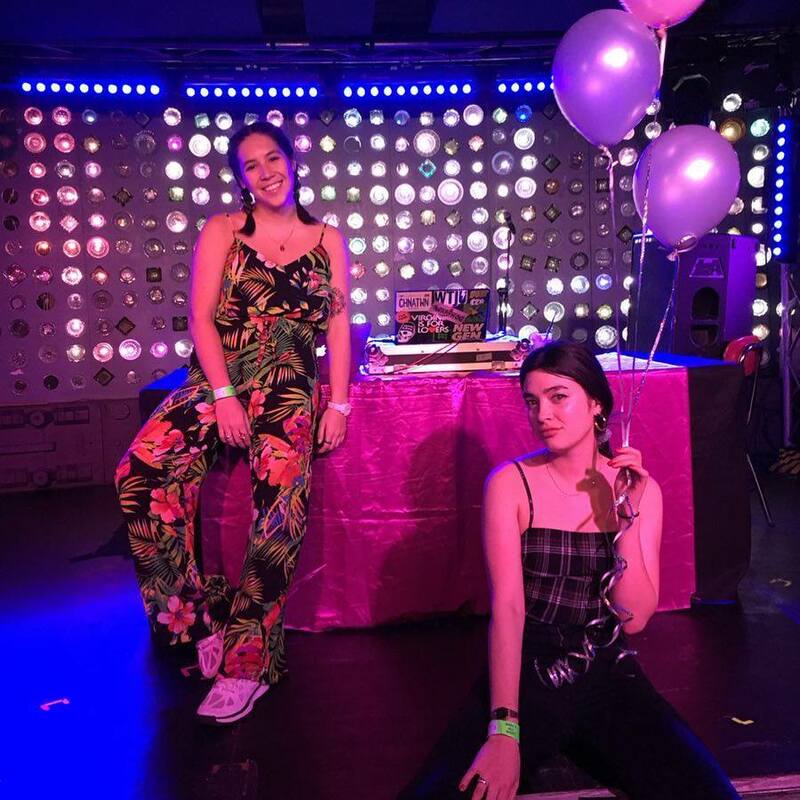 Come hang with us on February 3rd at the Year of the Pig party at our favorite LES shop Chop Suey Club. We’ll be playing tunes to ring in the new year from 7-10 (ish), and there will be free Tsingtao, delicious food from the dankest Chinatown spots, and ang paos (red packets, y’all) with special coupons and gift cards for everyone who stops by. 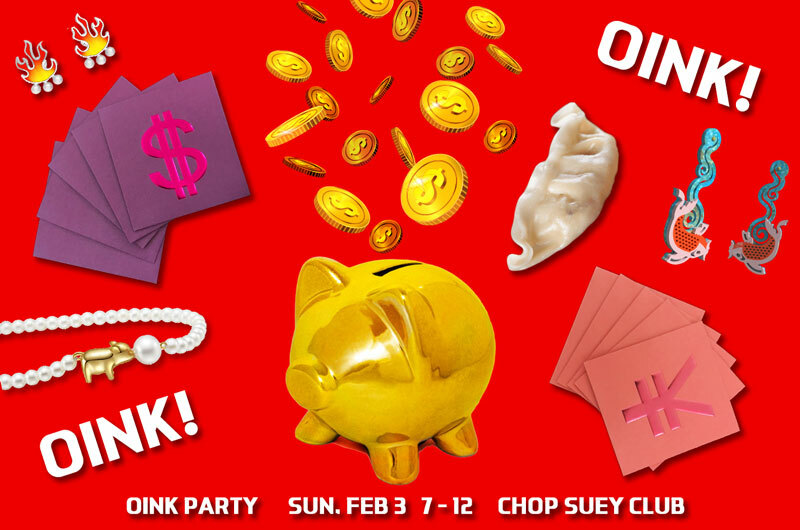 Get your last minute RSVPs in now via Chop Suey Club. 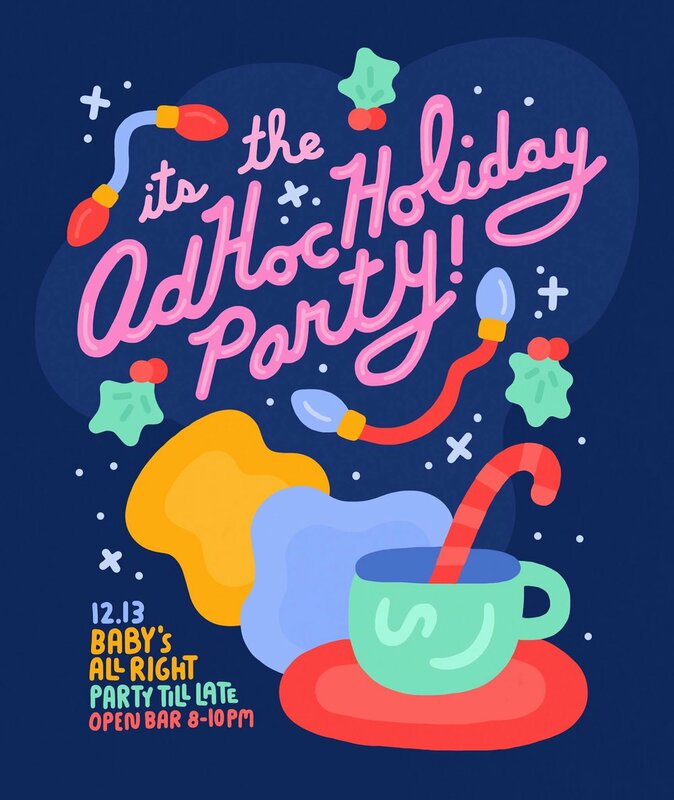 Holiday season is upon us, and we’re excited to announce we’ll be providing the jams for the second year in a row at AdHoc’s annual Holiday Party! And we made sure to land the happy hour slot ;) so come through to Baby’s All Right on Thursday, December 13 to catch our set and a very generous bar from 8-10, and stay late to party with us (and stick around for sets from our best bud Nick Hakim and our potential future best buds Future Punx)! RSVP on Facebook and at http://bit.ly/AdHocHolidayParty .